I jump for joy when it comes to climbing mountains! Even just thinking about mountains. Passionate. Engaged. Exhilarated. 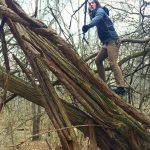 This is how I feel as a long-time vegan outdoor enthusiast, living my dream of packing my passion in my backpack and taking on the land – embracing a life that makes a lasting difference! Nothing is more addicting than a nature-saturated outdoor experience where all you need is water, food and gear! My husband, Erich and I are mountaineers at heart. With the Cascades in our backyard and BC, Canada a short drive away, we live a life rocked by mountains. 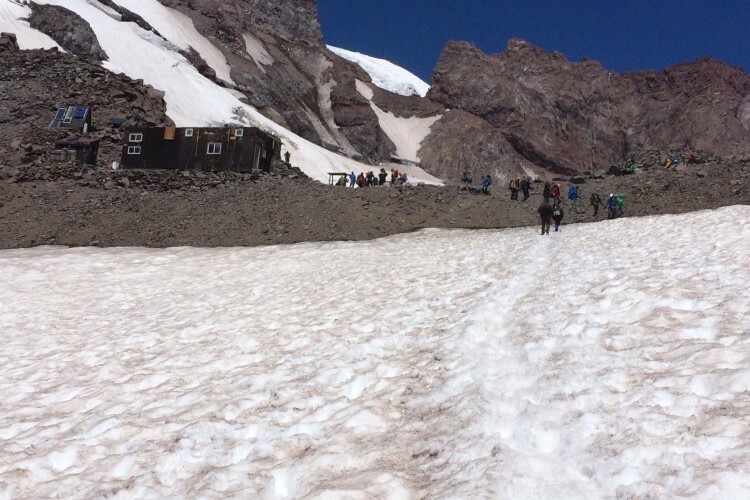 One of our favorite trips is tackling Camp Muir (base camp) on Mt. 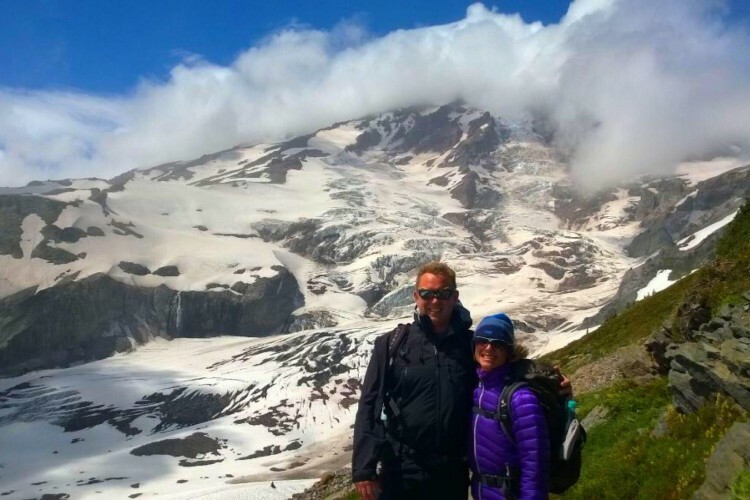 Rainier – a trek that you will never forget, full of mind-blowing scenery, demanding trails, and plenty of bragging rights. Nothing is more exhilarating than taking on this glaciated peak in one day on an 8.4 mile-out-and-back that climbs 4,660 feet to a high-altitude camp above the Muir Snowfield. It’s definitely an alpine mountaineering experience rather than just a stroll in the snow. It’s common to take on 50 mph winds on the snowfield – a true human vs. nature – and I just love it! Muir is situated on Mt. Rainier’s south side at 10,080 feet (roughly two miles from the mountain’s crown). It is the highest point you can go on Mt. Rainier without a climbing permit, and the gate to the summit of Mt. Rainier. 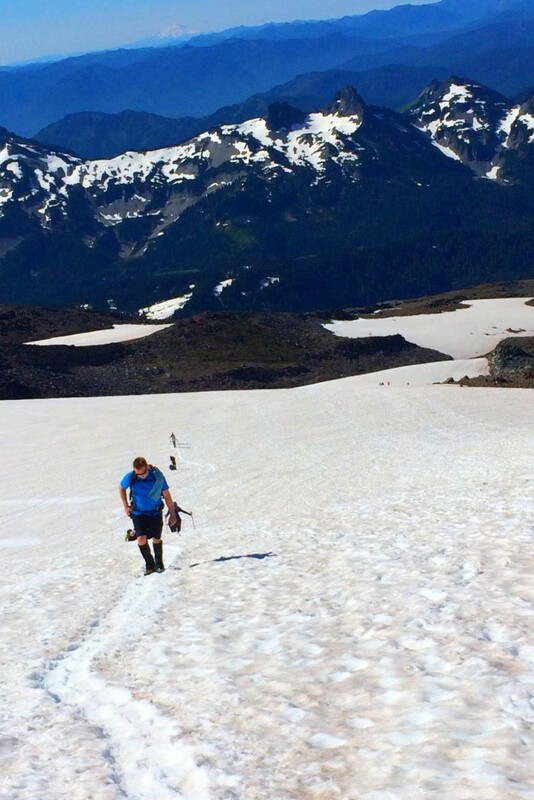 After all of the effort it takes to get there, when you finally reach Camp Muir it has the feeling as if you are in a private, remote world by itself. The breathtaking views of hanging glaciers, massive seracs, wide crevasses and thundering rock fall. You can even see Mt. Adams, Mt. St. Helens, Mt. Hood, and Mt. Jefferson all around you. Erich and I have numerous Muir trips planned for summer! The better you are in shape, the more exciting this climb is. The goal is to become a well-trained, all-around athlete. You want the distant runner’s endurance, the sprinter’s speed, and the weightlifter’s power. The major areas to work on include cardio and lung performance, lower back muscles, thighs, calves, and, of course, your mental capacity. Basically, if you stay in great shape, you will become addicted to Camp Muir. I’m an avid runner, so endurance is the easiest for me. I run 4-9 miles, 5-6 days a week (road and trail). I mix up my runs by adding in a stair workout in the beginning or at the end at least a couple days a week. This gives me more of an interval workout, mimicking what you will experience with weight on your back trekking up the Muir Snow Field. Also, Erich and I canoe weekly, mountain bike, and hike a variety of local mountains monthly, all ranging in elevation from 3,500-6,000+ ft.
Food is crucial fuel needed to propel our bodies up that mountain, tackle those switchbacks, and blaze those trails. As a vegan health coach, one of my favorite topics is improving overall performance by eating plant foods coupled with the timing of when to eat them. If you listen and take care of your body, it will take care of you! Athletes need to eat healthy food, because exercise can’t neutralize the effect of unhealthy food in the body. What you put into your body will fuel or fail you. 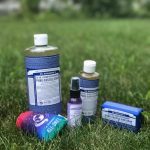 Get geared up for peak performance by nourishing your body with the proper fuel at the proper time! Eat something every 45 min-1 hour as well as staying hydrated. Fueling stops also provide you with a great opportunity to take pictures and adjust your layers as the temps change. 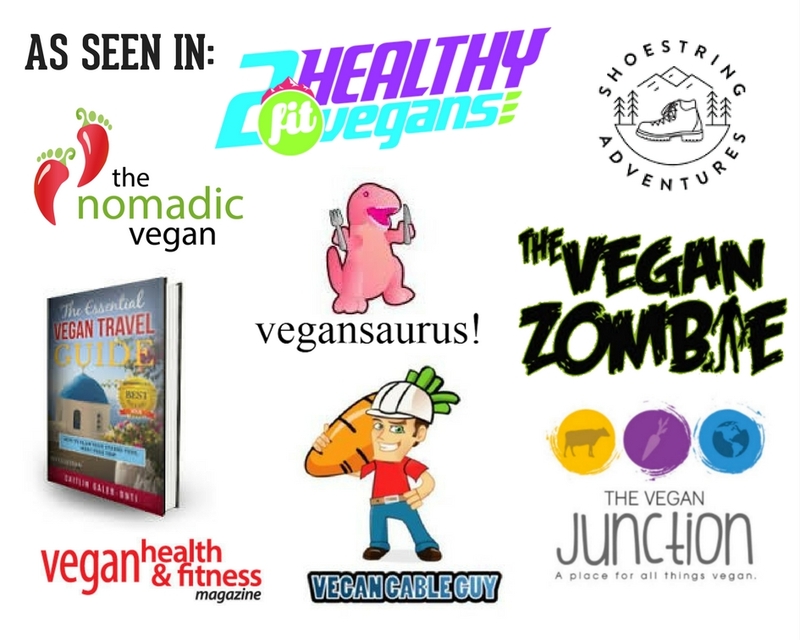 Begin vegan is easy and exciting because you are fueling yourself with nutrition from the land to explore the land! Strive to never let yourself become thirsty or extremely hungry. 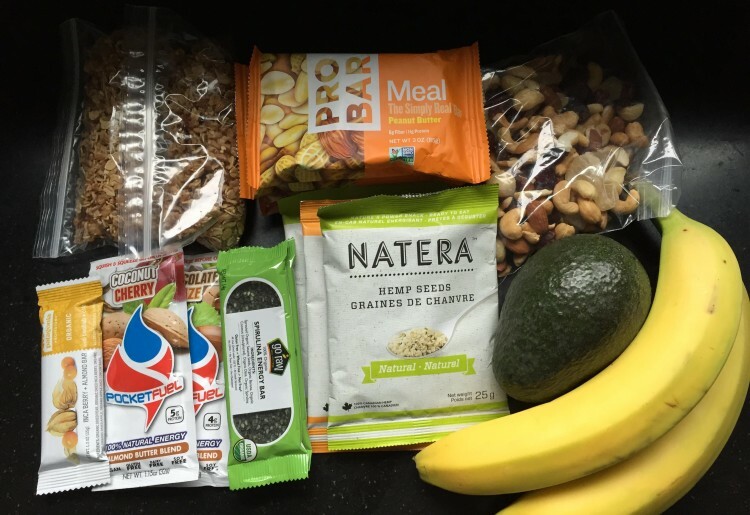 From a nutritional standpoint, you don’t want to deal with blood sugar imbalances or energy crashes, as you are climbing and descending with the elevation and altitude. Pack foods that digest easily (whole, unprocessed) because they use much less energy. Go for whole foods with high net gain (the useable nutrition the body has left once food is digested and assimilated). Food that hasn’t been digested completely will cause cramping. Consume food providing a combination of complex carbs, fats, and proteins. Why? Protein will complement the carbohydrate, allowing it to enter the bloodstream at a steady rate, thus delaying the onset of hunger and sustaining energy levels. Much of the real energy comes from carbs and fat. Fat is the longer-lasting energy source and is needed most during endurance activities. Fat also supports brain health, helps maintain body warmth, keeps the joints lubricated, aids in recovery and minimizes the inflammatory processes. oatmeal/buckwheat/quinoa with hemp seeds, coconut oil, and fresh berries or sliced bananas. I also hydrate with 16-32 oz. of water. Throughout the trek, I eat every 45 minutes from the following list of foods. You don’t want to fall short on food, so it’s important to pack extra options for backup and safety. Limited-ingredient, vegan energy bars like Amrita Bars, Probars, Pure Organic, Kit’s Organic, Larabar, Chia Bars and Nii Bars. Easy-to-pack electrolytes: sea salt, and individually packed replenishers, such as Vega Sport Electrolyte Hydrator, Nuun tablets, and Ultima Replenisher. Packing is part of the fun! 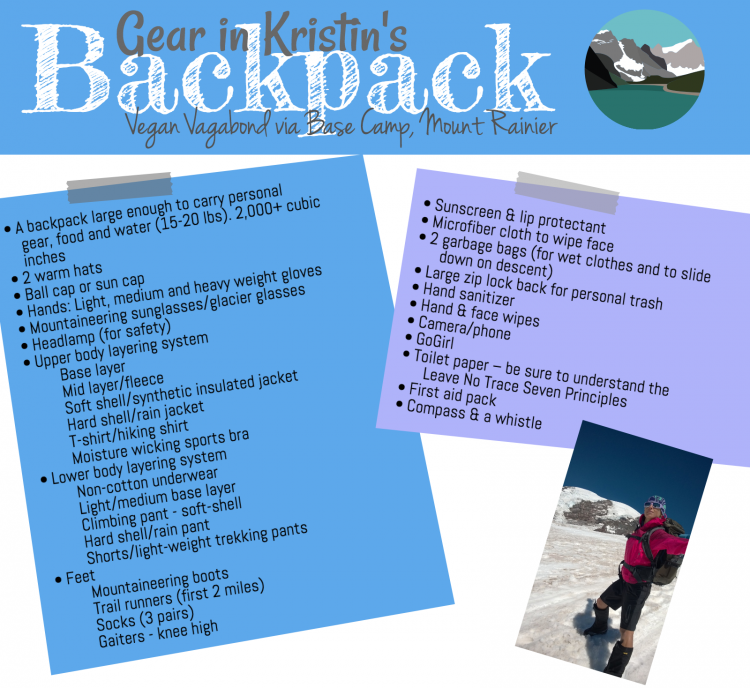 I get excited organizing my pack, always making little tweaks from the trip before. 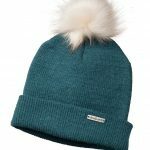 My go to brands that have great vegan options include Patagonia and Outdoor Research. Technology is advancing in the outdoor world, so more and more synthetic options are available. 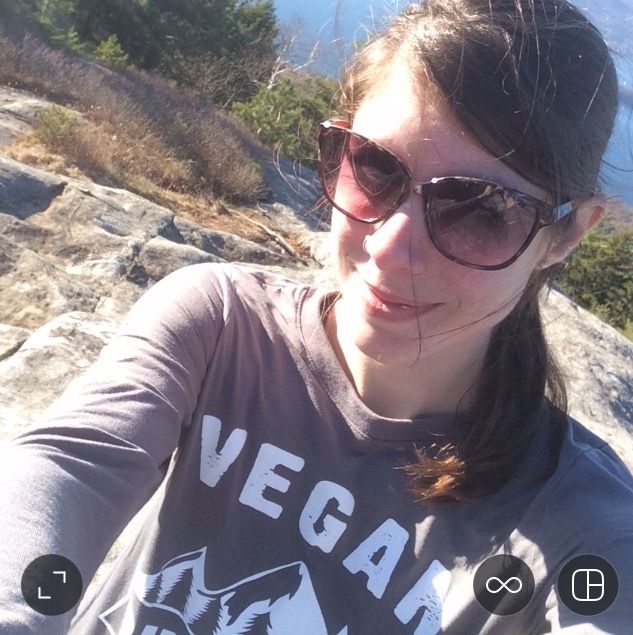 I’ve spent lots of time researching vegan gear, until I met Jessica! She is unbelievable and is my ultimate resource now. 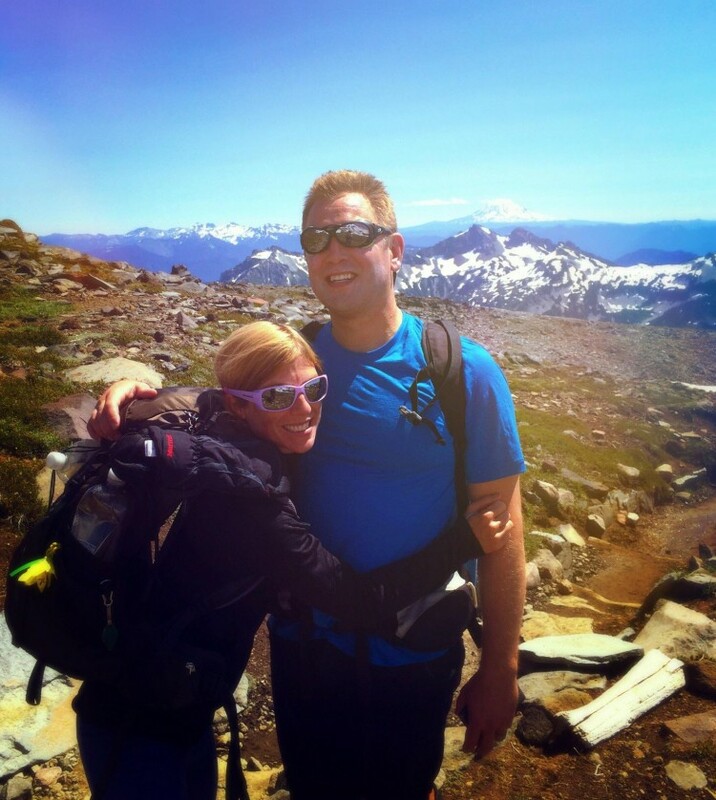 Weather conditions can change quickly during your climb to Camp Muir, so it’s very important to pack appropriately. 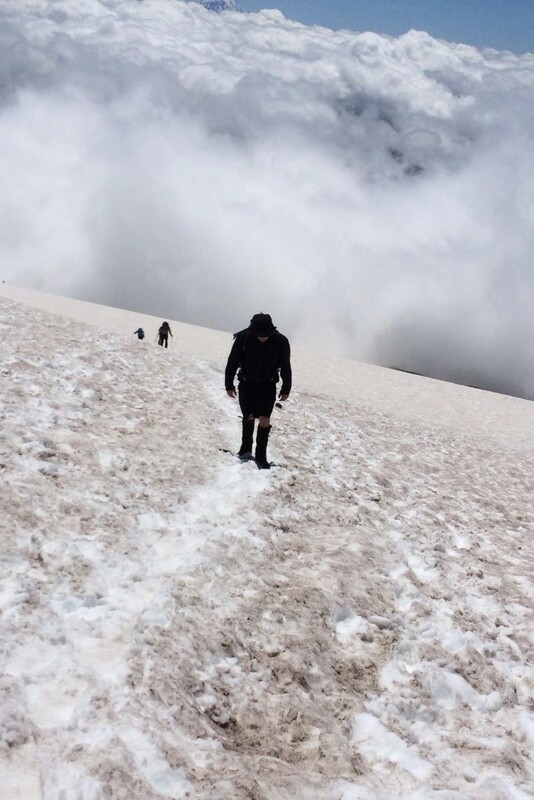 For example, you may start out with hiking shorts and a t-shirt at 60 degrees then hit strong winds, snow and 25 degrees as you hit the snowfield. Being prepared will allow for safer and more enjoyable climb. If possible, the route should be reserved for days when the weather forecast calls for a clear stable weather. 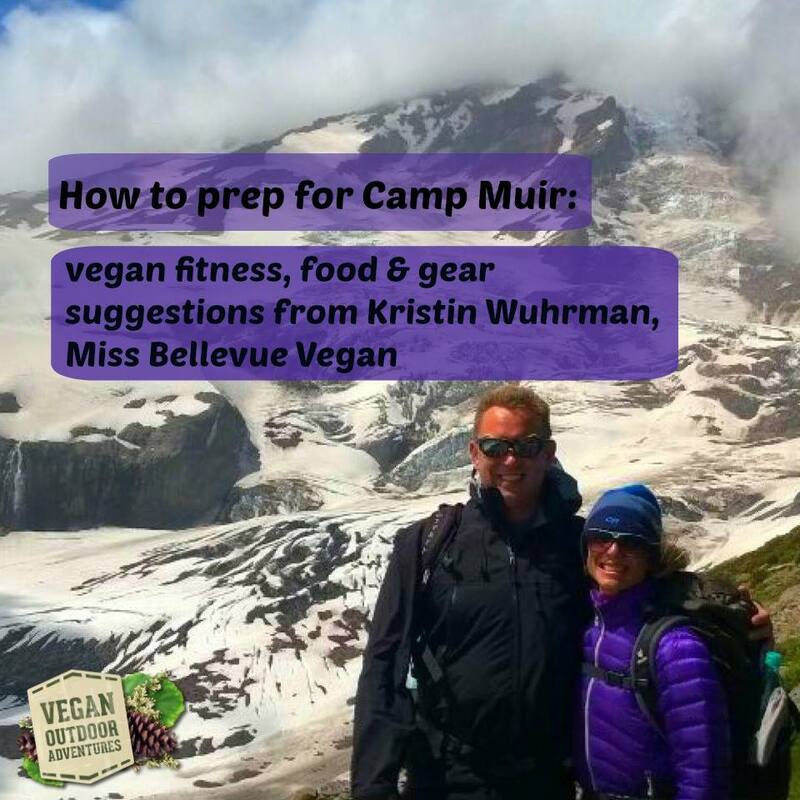 Kristin (aka Miss Bellevue Vegan) owns BEVEGAN® Plant-Based Health Coaching where she helps people transition into or understand the benefits of a whole-food, plant-based diet. She works with health nuts, athletes, outdoor enthusiasts, families and those interested in long-term health. She’s a proponent of living authentically, developing mindfulness, following your dreams, and creating lasting healthy habits. Enter your email below so you never miss a guest post, vegan gear list or contest!